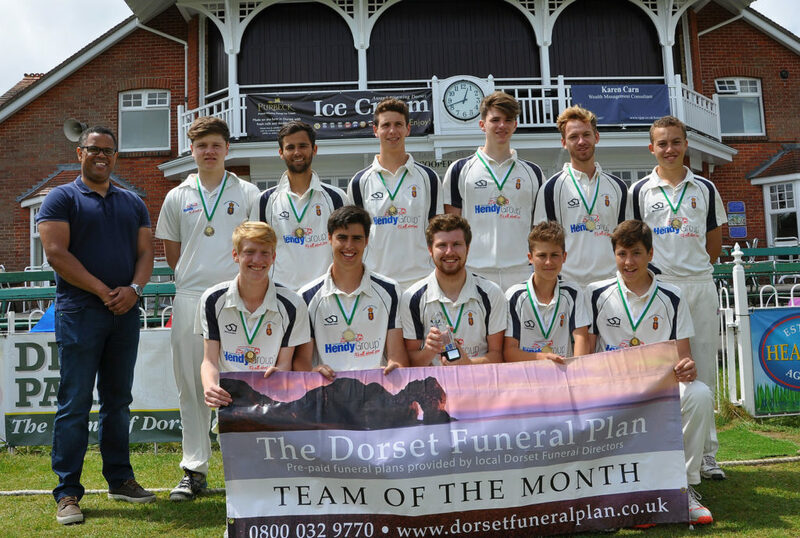 Parley Cricket Club 1st XI won the Dorset Funeral Plan Team of the Month award for May – after victories in all five games. The team, which plays its home games at Dean Park, the former county ground in Bournemouth, is exceptionally young. Calum Hewetson with the bat and Dom Clutterbuck and Ollie Green with the ball were the stand-out performers during the month. The side remain well placed in the Dorset Funeral Plan Saturday Premier League. 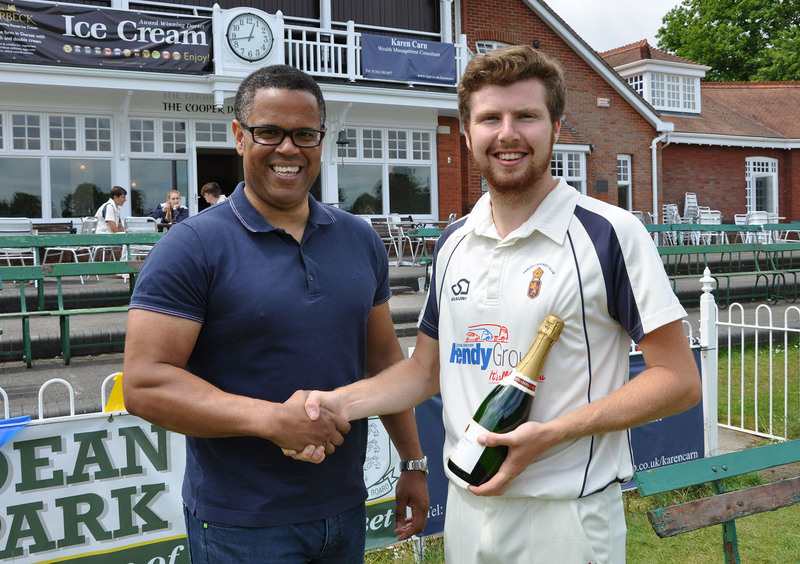 Skipper Alex Nippard said: “We won five out of five in May which was a great achievement especially as we have many players who don’t have much experience. “Calum has scored lots of runs and Dom and Ollie with the ball took plenty of wickets. Nick Douch from the sponsors handed over medals, a trophy and a bottle of bubbly. He said: “Once again Parley are doing well and going unbeaten for a month deserves the award.